Ever been to Gruenroth? No? Well it’s mostly deep, impenetrable and savage ancient forests dotted with marshlands, hills, isolated small villages and all this surrounded by regal mountain ranges. It’s pretty understandable then that travelling through the region is not the average man’s dream job. Baerje av Gruenroth is – however – not your average man. Standing at a hulking 7 feet his massive height is only paralleled by his 170 kilograms of weight. 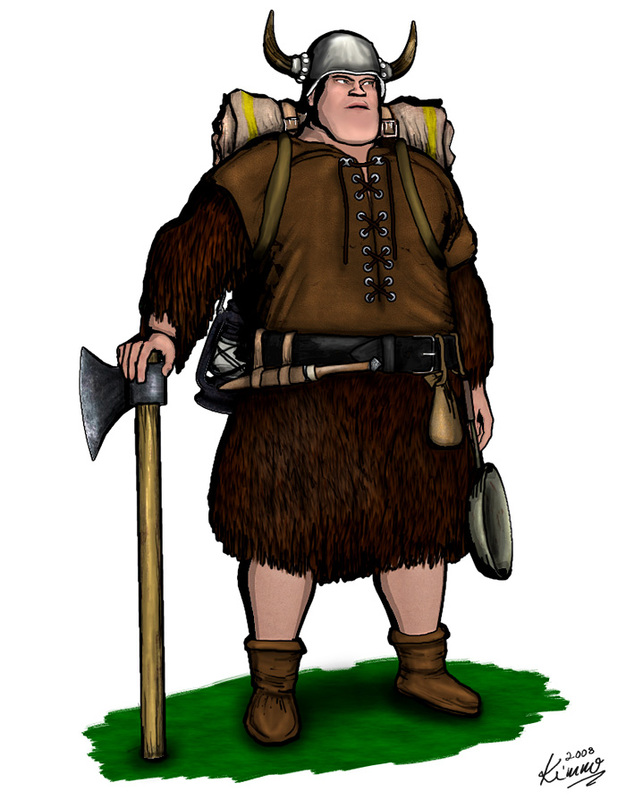 However, Baerje is known among the Gruenroth people as the travelling gentle giant. He lives his life on a seemingly endless quest of travelling and collecting folklore, tales, poems and songs of the common people.